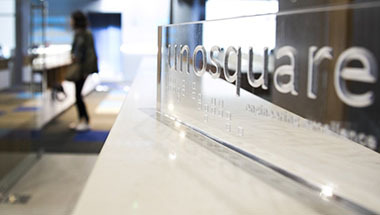 Founded in 2009 and Headquartered in Oregon, with operations in the US, Mexico and the UK, Unosquare helps operationally augment technology teams, design and build user experience focused web applications and products, and drive client initiatives in digital transformation in industries of our focus. With over 2,000 successfully completed projects, over 400 engineers, and more than 90 distributed teams, Unosquare has been one of the fastest growing private business in Oregon 5 years in a row and was most recently qualified to the Inc. 5000 of fastest growing companies for 2015, 2016 and 2017. Unosquare was built by engineers for engineers. Since inception we understand the need for transparency, efficiency and more importantly, delivery. We not only have been laser-focused on finding the best talent in the world but also putting together a delivery management practice that is your eyes and ears within our organization. In a way that is fast, transparent, and efficient, let us provide the agile software development services and complementing talent for your teams. Our proven strategic technology services have allowed us to be the technology delivery partner for countless companies in our verticals of focus. We have a 100% success record working with different units within our partners. From sales and marketing groups, to C-level dashboards, our clients have found a simple, repeatable, and scalable process to deliver the software they so desperately need to grow and manage their organizations. Unosquare is a technology-first company. We stay at the leading edge of programming languages, frameworks, methodologies, but most importantly, strategy. We evaluate with our partners when it makes financial and technical sense to adopt the expensive buzzwords and when it does not. All with a focus on ROI.